Some American Indian tribes teach that when something in your life repeats itself three or four times, you need to pay attention. A few years ago one of my students called such a pattern a “theme unit”: a thought, idea or experience that presents itself repeatedly in different ways to make you take notice and learn some important lesson. This week I was reminded of “the best math curriculum.” In fact, there were three reminders, and when the third one came it finally made me pause and take notice. The first reminder happened when my son requested help on writing a resume for scouts. This evoked a memory of an occasion when his older brother did the same requirement nine years ago. 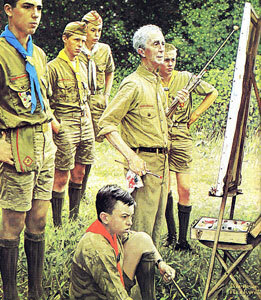 At the time, I was spending a lot of days on the road across North America speaking about the 7 Keys of Great Teaching, and I found myself frustrated with the language of the scouting requirement. I wrote about this experience years ago, but the short version is that I discouraged my son from writing a resume. “After all,” I reasoned, “we teach too much ‘employee-ship’ rather than entrepreneurial values in our society.” He nodded his head mildly and let me ramble. The result of this little interchange was that I had him write up a full business plan instead of a simple resume. With the luxury of the fact that we home schooled him, he spent a lot of time on this and ended up with a three-month plan to make more money than any boss would pay an 11-year-old employee. He learned to use a spreadsheet and outline projected income, expenses, investments, debts, interest and payroll costs. Just to be sure he met the scout requirement, he included a resume in the business plan and “hired” himself to manage the project – a dumpster management service, as I recall. He was pretty excited about his business proposal, but I didn’t let him submit it as a mere plan. I told him he needed to make a better case than just a bunch of numbers on paper. So he implemented the plan in our neighborhood, and only then went and met with his merit badge counselor. I confess I was a little disappointed when the counselor simply gave a cursory glance at the business plan and moved on to other requirements; but my son did learn how to use spreadsheets and do basic business planning. And now this week another son is repeating the process. Perhaps the years have mellowed me some, for I’m less zealous about it all now; and yet I still think business planning and using spreadsheets is a great basic math lesson. This transformation occurred because my wife’s response to the 10 a.m. declaration of hate was to spend the school day showing the little girl (and her younger sister) as many exciting and fun things about math as time would allow. She went to the white board and they spent some time introducing the language and symbols of math with stories of pizzas, necklaces, fruit salad and the like, diagramming and discussing mathematical symbols, numbers, equations, shapes and problems, and also smiling, questioning, laughing and hugging. Then they pulled out math manipulatives (pinto beans, actually) and made a hands-on game of it all. It was a fun home school day for mom and both girls, and the next three days were spent the same way. I’m not sure if it will continue tomorrow, but I know that two little girls have fundamentally different views of math than they did at the beginning of the week. Then, just today, a third thing happened that reminded me of “the best math curriculum.” Again, I’ve taught about this for years, but when it came up again this afternoon in the immediate aftermath of the scouting and homeschooling events, I realized, “this is a pattern.” So now I’m paying attention. “Math must be part of a critical core curriculum. It is one of the few subjects, along with reading and writing, worth making mandatory. Given that, what math should be taught? “Most math curricula have been hopelessly tangled up in a quagmire of precedent, prestige and capriciousness. Obviously, there are people who are passionate about math, and some of them go on to be…math or engineering majors. For them, calculus is required. I agree with Aldrich about most of this, mainly that spreadsheet math is extremely useful in our modern world and also a fun way to learn math—as my son found out in scouting. 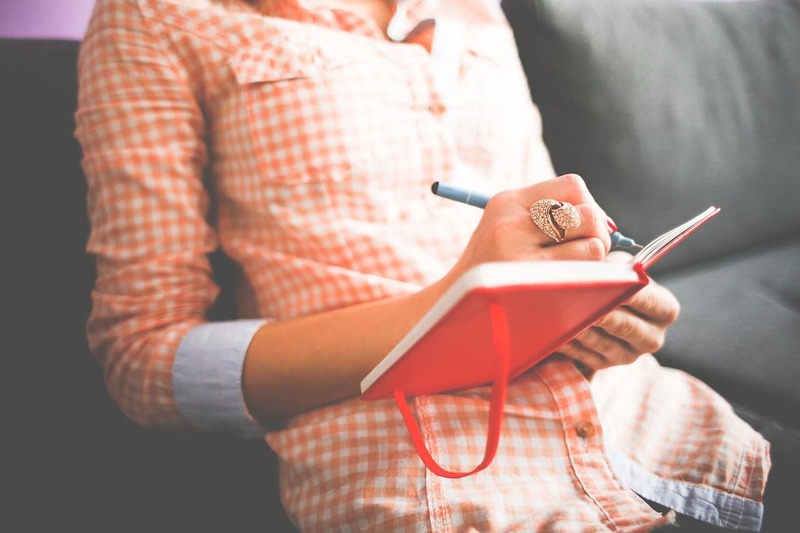 I have long taught that business planning is the greatest math project of all: organizing something out of nothing, and then outlining the details of the plan to implement it and put it into action, both in prose and numerical languages. Such a curriculum is excellent for mathematical and leadership thinking – whether you home school or not – and it combines numerous skills into one project. I do question Aldrich’s view that certain advanced mathematical principles are just for those few who are passionate about math or engineering, but I understand where he’s coming from—in the conveyor-belt model of education, love of math is often forced out of all but a passionate few. 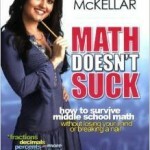 In my experience, “the best math curriculum” nearly always engages more than “the few” to a lifetime interest in math. It is really six simple steps. 1: The young person must fall in love with numbers. Let me restate this for emphasis, since this concept is not widely understood in our modern society. The first step is to fall in love with numbers—not math, not arithmetic, not addition or subtraction, and certainly not getting good grades, pleasing adults or being at the head of the class. A person who falls in love with numbers is on the road to being passionate about math, and this applies to pretty much everyone—not just the mathematical few. 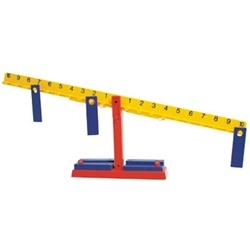 2: The person must fall in love with shapes and comparisons. This is really just a continuation of loving numbers. The best way I’ve ever seen for a young person fall in love with numbers, shapes and comparisons is to spend a few hours with an adult who 1) is in love with numbers this way and 2) knows how to share this passion in a fun and inspiring way. If all of math is simply a continuation of one’s love of numbers, shapes and comparisons, the likelihood of continuing passion for math is drastically increased for nearly all people. Where the conveyor-belt approach of forcing math on the young in rote and highly-pressured and competitive ways results in a few of the class getting passionate about math, the leadership approach of helping the young fall in love with numbers, shapes and comparisons engages the interest of nearly all. I have witnessed the differences between these two approaches over and over—always with similar results. Most likely, so have you. If teachers or parents aren’t themselves passionately in love with numbers, shapes and comparisons, or if they don’t quite know how to effectively transfer this passion in fun ways to youth, a few great books can help. 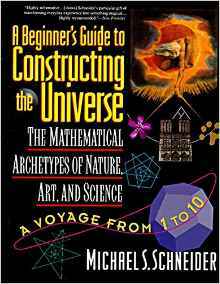 I highly recommend what I consider literally the very best book for falling in love with numbers and shapes: A Beginner’s Guide to Constructing the Universe, by Michael S. Schneider. The adults can read it first, and then share it with the youth. 3: Fall in love with the mathematicians & 4: Fall in love with the ideas of math. Once a young person is deeply interested in numbers, shapes and comparisons, the next step is to fall in love with the mathematicians who made their lives loving and pursuing math. Start with Mathematicians are People, Too by Luetta and Wilbert Reimer, and then go on to biographies of great mathematicians. Along with biography, reading the original writings of great mathematicians—rather than math textbooks—helps the young learner fall more deeply in love with increasingly complex mathematical concepts and ideas. Indeed, loving the ideas of math is the fourth step. Great starting books are On Numbers by Isaac Asimov and An Introduction to Mathematics by Alfred North Whitehead. Two more fun books for this step are Euclid’s first book of Elements and Archimedes and the Door of Science by Jeanne Bendick. Once the first four steps are accomplished, it is time for a traditional book and lecture approach to learning arithmetic, algebra, geometry, trigonometry, and so on. This process is even more effective if it occurs simultaneously with step six. 6: Learn spreadsheets and practice business planning. It is okay to make a number of plans that aren’t implemented into actual business, but each student should establish at least a few of their plans into real businesses that turn a profit. There is something about the physical and real impact of such math that brings a sense of magic to a love of numbers. The irony of this is that step six is seldom taught in most schools but it is by far the most useful to nearly all adults after they are out of school. Indeed, if you have to choose just one of the steps, do number six. And whatever other steps you do, be sure not to leave out six. Finally, if you are going to do step five, you’ll see a lot more success for a lot more students if you do steps 1-4 first. The key to success is simply to follow the steps in order: one before two, then two before three, and so on until the first four steps are complete. Once the student loves numbers, shapes, comparisons, reading math biographies, and thinking about math ideas, the traditional textbook study of math combined with the study of spreadsheets will make math interesting and fun for nearly everyone. So whether this is the third, second or even the first time the idea of upgrading your math program has come up recently, pay attention. “The best math curriculum” can take your home school math program to a whole new level! It works. And it’s also a lot of fun. 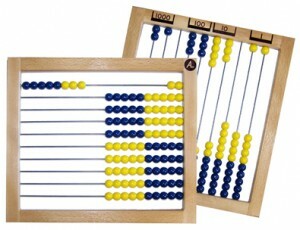 Having abacus on hand is the ultimate in simplicity for teaching number and place values, carrying, borrowing, number grouping and basic (and even more advanced) operations. 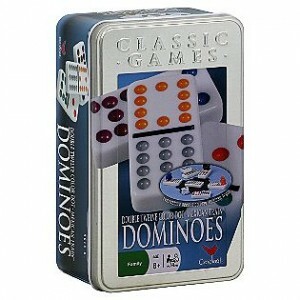 Sooo many great games and learning activities are facilitated by a nice set of dominos! 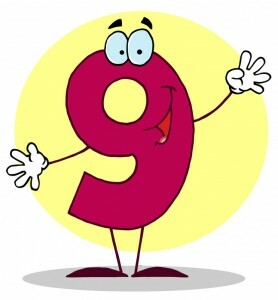 Number grouping, equivalents, less/greater than, simple quantity recognition, etc. Plus, who doesn’t like a good game of chicken foot? Tangrams are a learning tool that combines artistic and mathematical elements to enhance visual perception ability, develop problem solving skills, creative thinking capacity and teamwork. 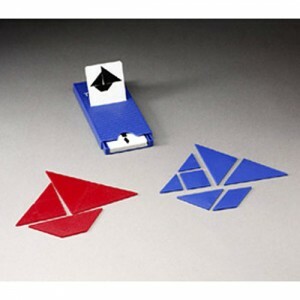 The classic tangram forms a square. The 7 pieces can also form an infinite number of abstract designs, human figures, animals and everyday objects. The object is to form the image on the card using all seven puzzle pieces. 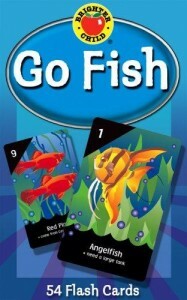 I like this Go Fish game especially because it has such broad appeal and utility. Our preschooler learns her numerals/quantities, our Core Phaser practices letter and word recognition and our Love of Learner/Young Scholar kids enjoy the little factoids about each fish that are on the cards. They can all play together and glean different things, while having a pleasant medium to help the younger ones with the skills they’re most interested in working on right now. Plus everyone loved the exotic and beautiful illustrations on the cards. I’m recommending this one because so many of my friends have enjoyed it, although we don’t actually own it. It’s highly rated on amazon, as well. 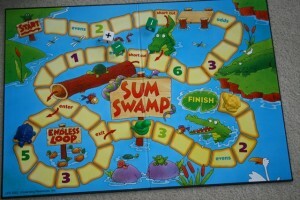 It’s a simple addition/subtraction game for very young players. The study of math has lost its soul in the past century. We have become so obsessed with our comparative lack of math proficiency that we have over-compensated on the side of learning skills without drawing meaning from the study of math. It was not always so: In ancient times math was strongly tied to music, philosophy and other “practical” pursuits. The net result of this lack of vision is that today’s learners (and teachers!) are uninspired to explore math; they believe they are no good at math, and ultimately, that math has nothing to do with anything they care about. Thank goodness for a surge of great resources, with an ever-expanding field, to help today’s learners with the elegance and titillation of mathematical study. We are relearning the language of math in the 21st century! For some homeschoolers, teaching math and science is the greatest worry. As TJEders, those of us who aren’t math-inclined find this especially challenging: how do you “Inspire and not Require” when you don’t like math? How do you use “Classics, not Textbooks”? An omigoodness, what of “You, not Them” in math studies? Must I really??? 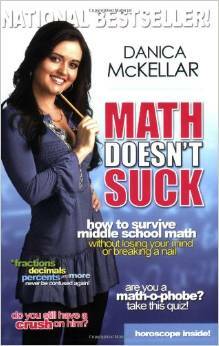 Not only does this popular actress/professional mathematician help you brush up on your skills, but her teaching style will help you get a feel for how to innovate on math principles, and how to use teach them in fun and relevant ways. Easily incorporated into anyone’s style. My kids love these! I especially like that her teaching style promotes mathematical thinking. Too often kids (and even teachers) who seem to be successful in getting the right answers to equations don’t really grasp why it is how it is. 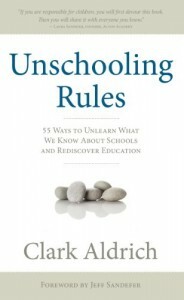 They go through the motions without being moved by the bigger picture of how it relates to the wide world of knowledge! They deceptively excel at testing without ever becoming fluent the language of math. I used this as a text for a class I taught, and some of the students who had previously been “math challenged” spent hours enthusiastically teaching and sharing their new-found genius in things mathematical! Off-beat and inspiring, this one can not only empower the math-enabled parent or kid to new levels of prowess, but can reveal the undiscovered brilliance in students and parents who’ve missed the math boat in previous attempts. Highly recommended! 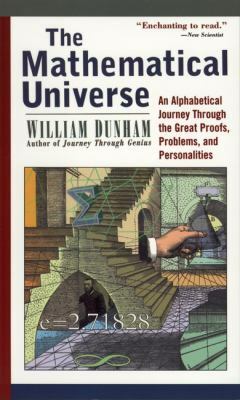 Unique in its approach; this book takes random concepts, events and personalities in the realm of mathematics and presents them according to alphabetical order. This seemingly chaotic treatment actually ends up being both accessible to the math-insecure and elevating to the math lover. Elegant and eclectic, this book led me to many moments of pondering on mathematical concepts, which I had not been prone to do previously. Much inspiration comes from reading this book slowly and considering how to share what you’ve learned with others! I haven’t actually started this one yet; it’s next on my docket. 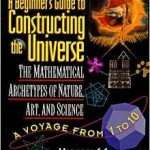 But Oliver tells me it’s indispensable on this list, and I have to say that merely reading the subtitle makes me feel a little giddy: “The Mathematical Archetypes of Nature, Art and Science – A Voyage from 1 to 10″. I LOVE, LOVE, LOVE writers who are able to connect things from one discipline or area of study to another. This is what we too often missed in conveyor belt learning, and the thing that helps us achieve brilliance as we get off the conveyor belt. I can’t wait to read it and be mentored by this mind! 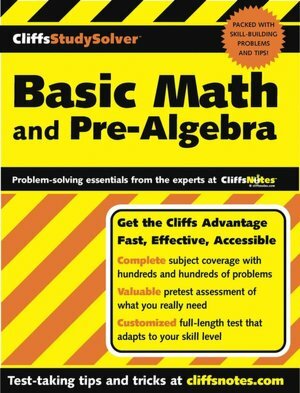 This is my go-to book to fill in gaps (whether for the teacher or the student) in basic math skills and operations. It is organized in a very logical, sequential and simple fashion, and includes a pre-test that helps you pinpoint the exact concepts to cover to round out your basic math knowledge. AND!!! It only costs $.99 on amazon. Beat that with a math rod. I’m just getting into TJEd but am nervous, inspired and excited all at the same time! Anyway, I wanted to mention another online Math and Science resource that I’ve started using with our 12 year old that really seems to draw him in and that also deals with even more advanced concepts. That is the Khan Academy. It is a free resource and so open to all who have Internet access. I’m happy to report that my daughter was succesfully homeschooled (all 12 years) while following the philosophy of TJEd! She owned her education during her scholar phase and still loves learning :). Math was one of those subjects that were “mine” to teach, as I have a degree in Math. How we covered Math during her core and love of learning phases was different from how we covered it during her intro to scholar and scholar phases. In the early phases, I made math “lessons” integral to our daily lives. I did inspire a lot as I used/practiced math with her all the time: while shopping for food, figuring out what the final cost of clothing would be given a 25 % off sale, as well as helping her establish her own lemonade stand. This helped her to understand how money and a business works in all senses. She also danced and learned to play the piano. You once said: music is the ultimate Math, as music makes Math qualitative and quantitative . We also read many of the books you suggested in your article. 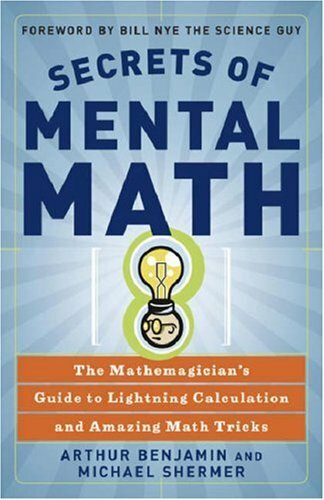 I’d like to add my personal favorite : The Man Who Counted by Malba Tahan- this is the book that made me love and understand the usefulness of Algebraic math when I was young. In my daughter’s later phases I took a different approach. Partly at the insistence of my daughter’s dad, and a good friend’s advise. I love how Math is useful, but I also know Math is logical and many concepts need to be built on and practiced daily. Therefore to not “re-invent the wheel” and have some order of what was learned I did try a few curricula. I ended up using mostly Life of Fred. I really liked how ideas were presented and explained- not just here’s the concept/ formula and here are 20 problems to practice how to use it. In addition he story line helped to keep a light fun mood during our lessons. Together, we covered all the lessons in the books of Fractions through Geometry. (Togeher was key!!!) I feel that these Math concepts are basics to be able to get through life. During her later phases I did require math, while also doing my best to inspire it through my continued daily usage of it. The end result is that while she did not necessarily love her required math lessons, today she is thankful that we did go through the curriculum on a daily basis. The end result was worth it. She did not have to cram 4 years of Math into one year of solitary studying, as some of her friends have had to do. She was able to pass the Jr. College’s placement math tests without having to take remedial classes. She has already taken Statiics, the only math class she’ll need in College- as she’s not pursuing a degree that is Math or Science related. ( BTW she loved her Statistics class as it opened up her eyes as to how these are used in articles, debates etc.). While she may not love Math as I do , she is well acquainted with it. I know now that my requiring daily lessons using a Math curriculum during scholar phases was like requiring cleaning during Core Phase: one may not necessarily love to do these on a daily basis but one does enjoy the results. I certainly agree with your ideas on spreadsheets. I did highly encourage my daughter to take an Excel class in Jr. College, as I know being familiar with spreadsheets will be forever helpful in anything she takes on. While taking the Excel class she noticed that the majority of her fellow students were adults whom were trying to learn Excel to be able to get a better job. This proves that knowing how to use spreadsheets is absolutely necessary. Today my daughter was telling me that her Econ professor offers extra credit that earns her 2/10ths of a point, to which she added.. “I don’t understand why he just doesn’t say 1/5th” . Yes! She understands and does use Math daily. I loved our homeschool years using the philosophy of TJEd. My daughter turned out well, in great part because she also chose to trust and believe that God has a unique mission for her, which meant she needed a great education to accomplish it. ALL really and truly made a difference in our lives.